Berry Gordy and Al Abrams collaborated and co-wrote a Motown released song entitled, “I Love the Way You Love”. 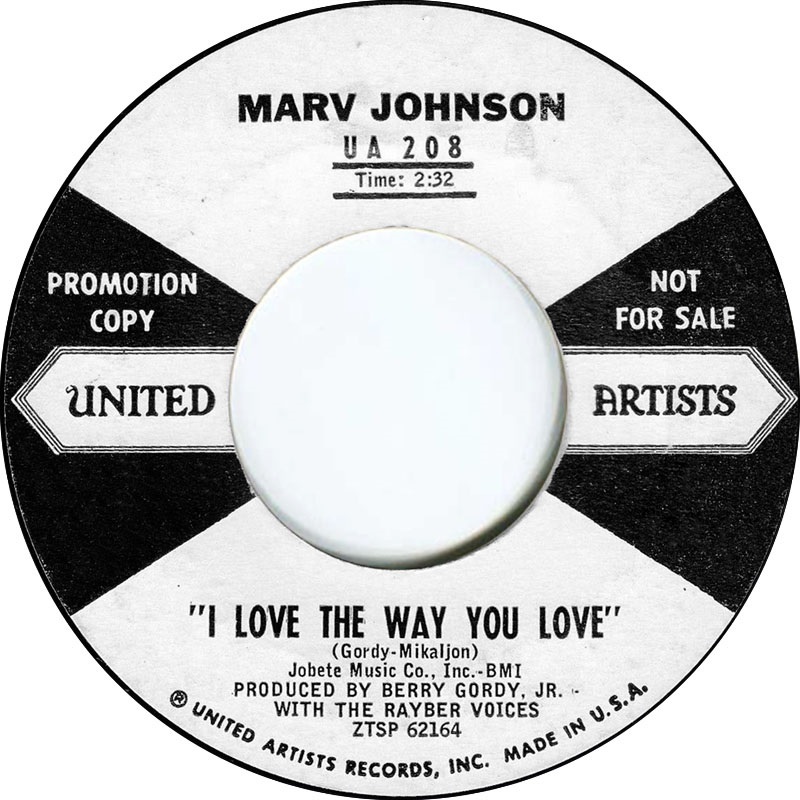 It was recorded by Marv Johnson and peaked at #9 on the charts in 1960. If G-d were to spin a record on a turntable, what music would G-d choose? Gospel – Classical – Opera – Electronica – Techno – Folk – Blues – Country - Hip hop – Jazz – Pop – Reggae - R&B – Rock – Alternative – Metal – Punk – Psychedelic or maybe some Motown? “I Love the Way You Love”? Borders … Music crosses Borders. Every person and creature constructs border walls and personal perimeters. We are human. But, there is an immeasurable difference between being human and becoming a humanitarian. Music and sounds have a propensity to shadow humanity. G-d’s playlist is borderless. The Motown Black & White Collection & Exhibit is a music journey whereby a young African-American man united both black and white teenagers in late 1959 to create a record label that crosses borders. Conflict, war and migration are inevitable and result in unimaginable human indignity. They recycle and resurface. Cause, justice, compassion and change challenge us to step beyond being human to becoming a humanitarian and activist with a voice. MB&W is designing an additional display item to feature in its extraordinary exhibit. It is a cosmic-sized wood-carved record that will feature names of global people, businesses, institutions and groups that listen to the same humanitarian global record being played. The giant humanitarian wood record being produced is inspired by a talented and amazing group of individuals living with disabilities and their ability to have their voices heard. This group will be recognized. To place your name, family name, business, institution or organization on our global exhibit record, for recognition, please see our ONLINE STORE TAB to participate or click on the following link. Donation(s) are appreciated toward the cost of placement of name(s) on the MB&W international humanitarian exhibit record but is not a requirement. Donors will receive a photograph of the cosmic record with their name recognition. Or, you can send us an email via our contact page. Thank you for Recording with MB&W. *The MB&W team will make every attempt to insure the names recognized on the exhibit record are in compliance with MB&W standards. MB&W has the right to exclude/omit names at-will and without justification either given or provided.